Few serious artists today could call their work “a metaphor for the human condition.” Zhang Huan doesand with a straight face. He also states, “The body is my most basic language,” and claims, “I wanted to measure myself against insurmountable limits.” His recent retrospective, “Altered States”the Asia Society’s first for a living artistexamined three career periods. 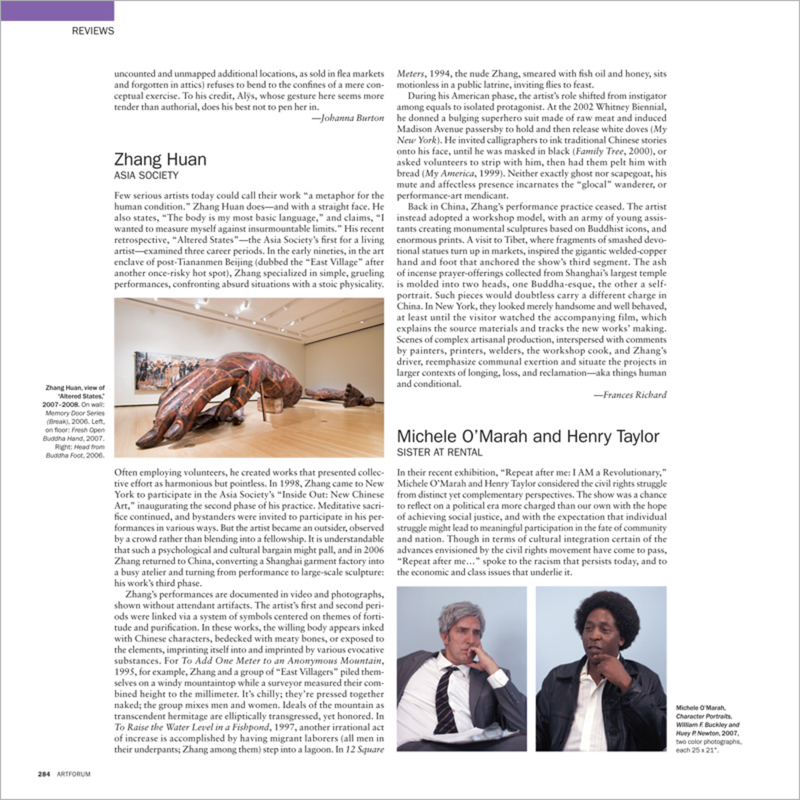 In the early nineties, in the art enclave of post-Tiananmen Beijing (dubbed the “East Village” after another once-risky hot spot), Zhang specialized in simple, grueling performances, confronting absurd situations with a stoic physicality.